Will Avengers: Endgame Turn Tony Stark Into the Uncle Ben of the MCU? 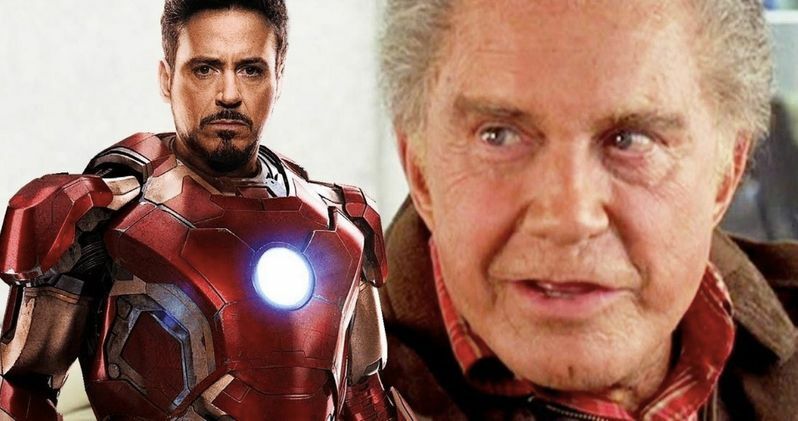 Tony Stark could possibly take on an Uncle Ben-type role in Avengers: Endgame. Uncle Ben was not introduced in Spider-Man: Homecoming and Peter Parker didn't speak much about him or the role that he played in his life. Peter's uncle is a big part of the character's life in other adaptations, which has some Marvel Cinematic Universe fans thinking that Stark will carry on that tradition and fill that void when Avengers: Endgame hits theaters next year. Tony Stark and Peter Parker already have a strong relationship as evidenced by Spider-Man: Homecoming, Civil War, and Infinity War, so this has already been hinted at before. While Uncle Ben and Stark are completely different characters, they both want Peter to be the best that he can be, with Ben telling him, "with great power comes great responsibility." This is something that Stark could be taking on in the MCU since Ben was not introduced and killed off for a third time on the big screen. Tony Stark might have to rescue Peter Parker again and possibly sacrifice himself. Additionally, there have also been some parallels with Peter Parker turning to dust in Tony Stark's hands, instead of an Uncle Ben character dying. Avengers: Endgame is rumored to have some pretty big deaths and sacrifice, with some fans believing that Stark will make the ultimate sacrifice to save many, including Peter Parker. Obviously, this is just speculation at this point in time, but it does make sense in the grand scheme of things. Otherwise, it seems odd that they would leave Uncle Ben out of the equation. Plus, if Stark dies, it might be Nick Fury that continues that mentor role in Spider-Man: Far From Home. It's hard to get a grasp on what Avengers: Endgame will be when it hits theaters. The first trailer does not offer much in the way of info on the highly anticipated sequel, but fans have been digging through it and paying attention to the minor details. For instance, the time jump theories are now looking at Black Widow's different hairstyles in the trailer as well as the official concept art. As for the time travel aspects and the Quantum Realm, Scott Lang's appearance at the end of the trailer as well as leaked pictures from the set are fueling those rumors. Marvel Studios, as usual, is doing an amazing job not letting any information leak out about Avengers: Endgame, which is somewhat infuriating for certain impatient fans. At the very least, it's fun to dissect the footage and set photos to try and solve the mystery of how the dusted characters will be able to return to the living after the mighty snap of Thanos. While we wait to find out, you can head over to Reddit, which is where the Uncle Ben theory originated from.